This report describes the situation of banking foundations in Italy, concentrating on the latest trends. The volume is divided into four parts: legal and fiscal issues, governance and management, institutional activities and analyses of activities divided by foundations groups. It includes statistical data as well as a legal appendix. 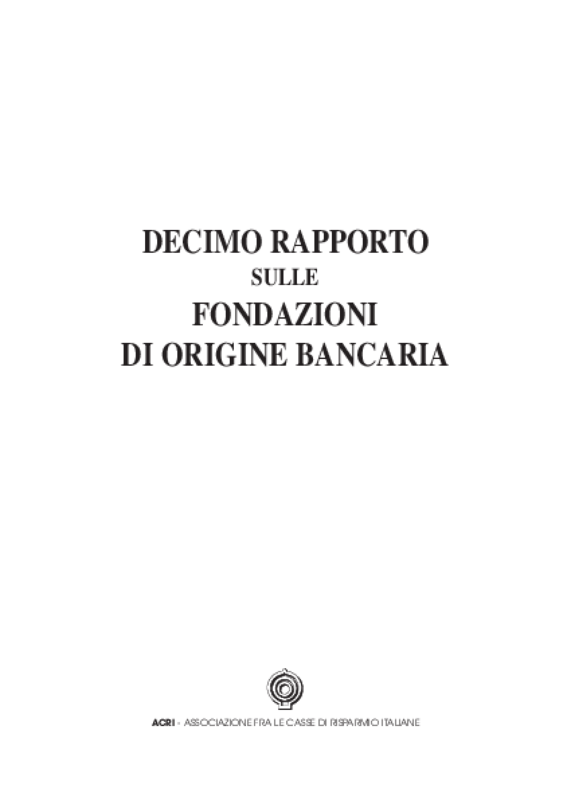 Copyright ACRI - Associazione di Fondazioni e di Casse di Risparmio.